Summer League runs from May through to July and is a great way of keeping fit and keeping your eye in during the 'off' season. Great chance to play with players from a full cross section of the club too. All games take place either in Bath or in the Bristol area on weekday evenings. The B team (Sabres) play in Divison 1 having been promoted last season. 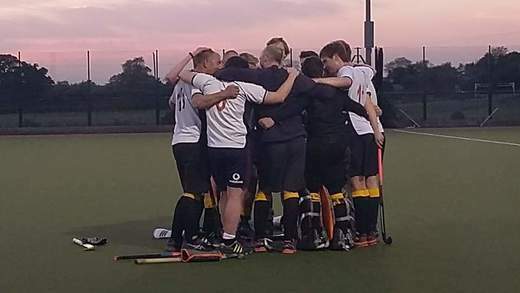 Director of Club & Coaching Development, Clubhouse Project Lead, Mens Membership Secretary, Webmaster, Data Controller, Youtube Channel Editor, UKCC L2 England Coach, Vice Chairman of the Royal Navy Hockey Association (RNHA). Joined Buccs in 2006 from City of Bath playing in the Bs as goalkeeper. Now playing in defence for the Mariners (F's) and representing Somerset O40 Masters. Still occassionally play in goal when called upon and have represented West of England O40 Masters. Joined 1981. 1st XI 1989-93. Played for every team at some point, occasionally two a day. Level 1 Coach. Playing for Mariners, Masters and Somerset O40s and played for the West of England O50s in the Divisional Tournaments in 2016 and 2018. #75. Joined Buccs in 1999. Former Club Captain, 2012-2014. General Hockey Statto. Goalkeeper at Buccs since I was 11. Now living the dream in the E’s.